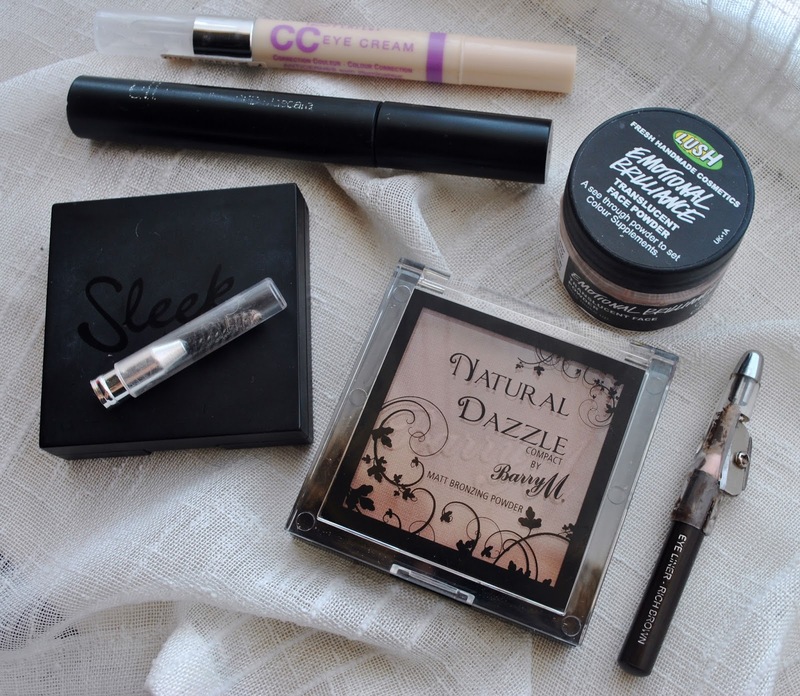 My daily makeup look has been near enough the same for around two years now, and after some chopping and changing of products I've finally found a set of products that give me the look I want and allow me to create it quite quickly. That being said, there are two new products in here which I only picked up at the weekend, so it's too soon to say whether they're going to become permanent additions just yet. I used to wear foundation every day, but two or three years ago I realised that I didn't always need it, so I decided to wean myself off it by using tinted moisturiser and BB creams for a while, and for the last year I've only worn concealer around my undereyes, nose and the corners of my mouth where I get some darkness. Up until this weekend I had been using a combination of Collection's Lasting Perfection Concealer (£4.19) in shades '1 Light' and '2 Fair' and e.l.f's Maximum Coverage Concealer (£3.95) in 'Porcelain', but having to keep purchasing three different products and then having to blend them together every morning was becoming a bit of a pain (not to mention the small hole it was burning in my pocket), so I decided it was time to try something new. I was looking through Essie Button's Youtube channel the other week, and in this video she tried out the Bourjois 123 Perfect CC Eye Cream (£7.99) and I was really impressed by how brightening it seemed and the coverage it seemed to give. I had a little look online to see if Bourjois' products were tested on animals and was very pleasantly surprised to find out that they aren't, and that Bourjois don't take part in animal testing or get other companies to do it on their behalf. 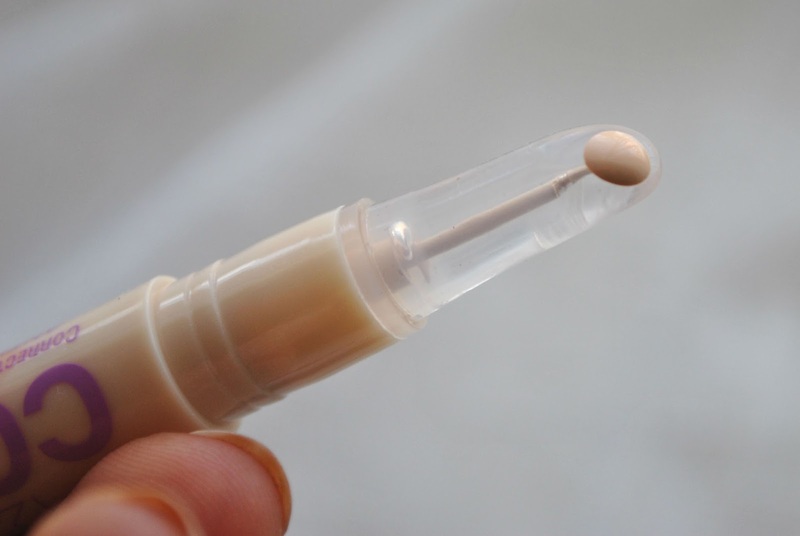 After looking at a few reviews of the concealer on Youtube I was sold, so a few days later I went out and picked it up in the shade '21 Ivory'. As you can see here, it has a sort of doe-foot applicator, and when you twist the bottom of the stick the product comes out of a hole in the top. A couple of clicks gets you quite a lot of product, and a little seems to go a long way as it's very easy to blend and the consistency isn't too thick. As you can see in the swatch below it blends really well and gives a very natural finish, and I'm really excited to see how I get on with it. 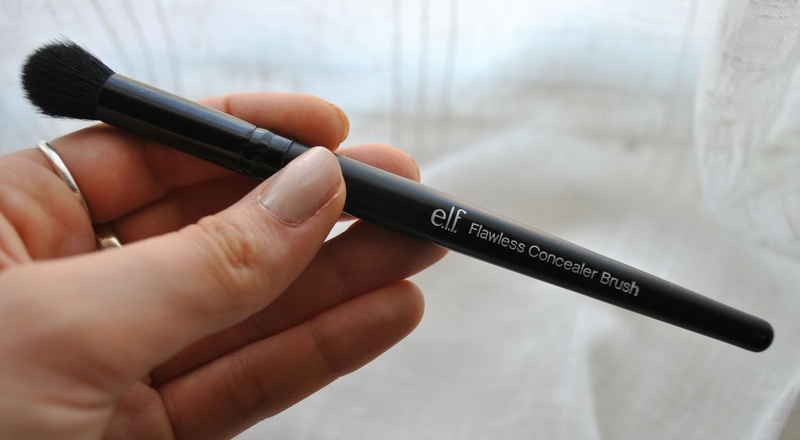 I should also mention that to apply concealer, I dot it onto the areas I want to cover using my ring finger (or from now on, the applicator), pat it out slightly with the same finger to spread the product, and then I use e.l.f's Flawless Concealer Brush (£3.95) to blend it out. 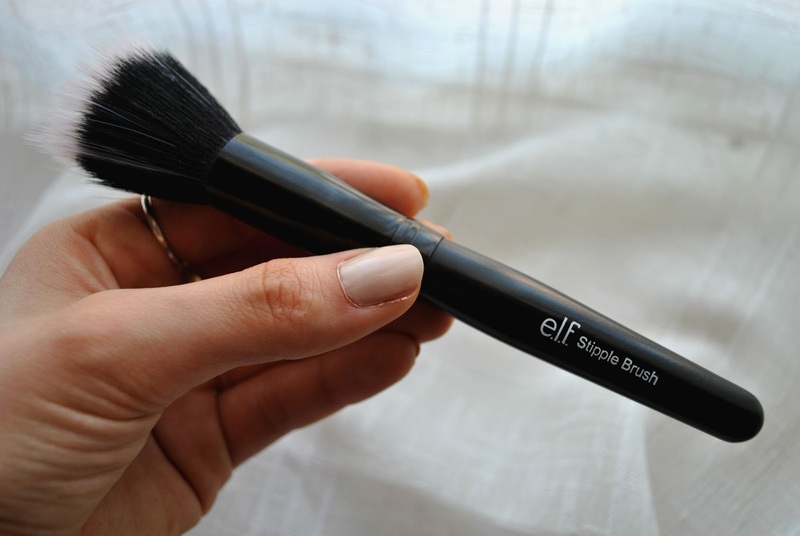 e.l.f are a really great company who sell 100% cruelty-free and mostly vegan products at incredible prices. The quality is great, too - I'm a big fan of their studio brushes which are really soft and don't shed at all. Whilst my concealer dries I fill in my eyebrows. I bought this Sleek kit in the shade 'Light' a while ago, but I put off using it because I thought the gel/wax was too warm toned for me. But, after a little bit of practice I learned that as long as I build it up slowly and use a light hand it can work really well, and the powder is a perfect shade for me. The kit also comes with two small brushes, one angled and one flat, and a tiny pair of tweezers, so it's ideal for when you're travelling or on-the-go. To tidy up my brows, I use the spoolie brush I took from my old Maybelline brow pencil when it ran out a while ago. 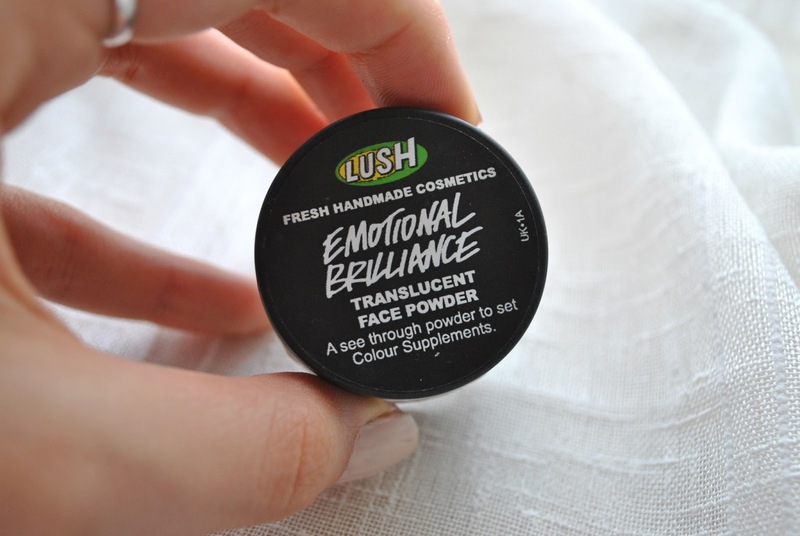 After filling in my eyebrows my concealer is usually set, so the next product I use is Lush's Emotional Brilliance face powder (£12.00). 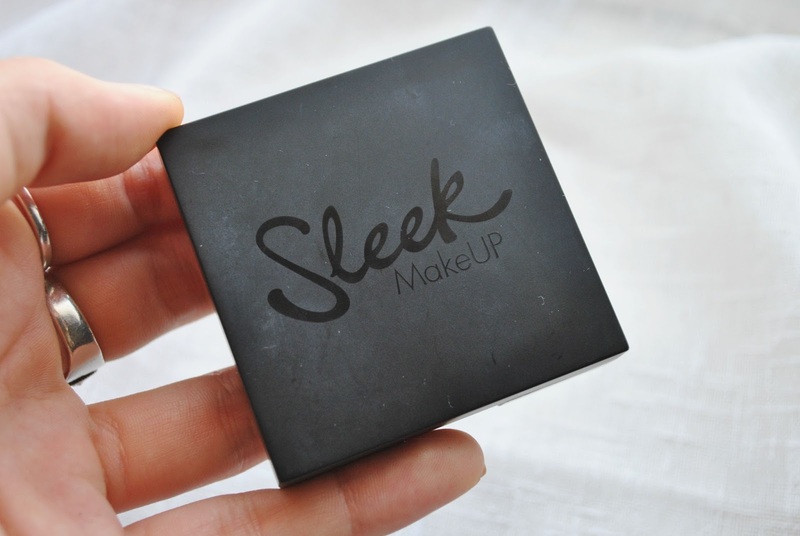 I wrote a full review of this powder last month which you can read here. I absolutely love this product because it doesn't break me out, nor does it make my face look cakey or add a cast to it. Instead, it sets my base and keeps it in place all day, and it keeps shine at bay whilst giving me a healthy glow. 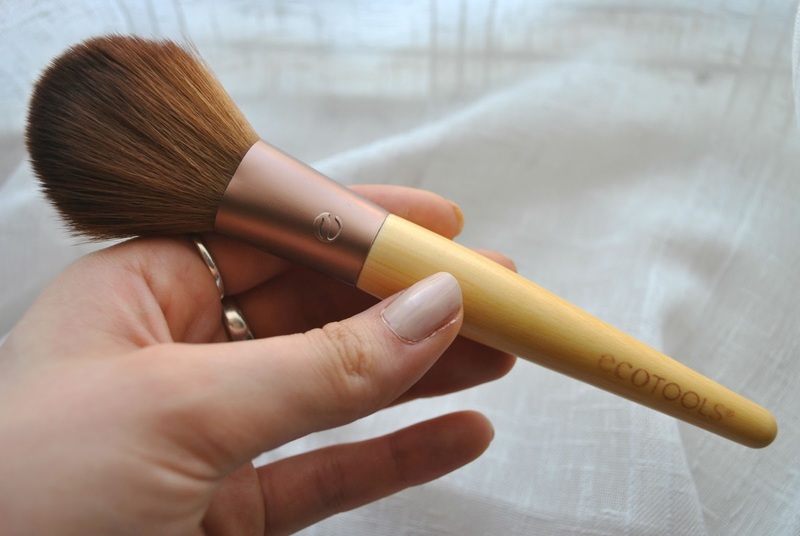 To apply the powder, I use EcoTools' Bamboo Powder Brush (£9.99). I bought this brush a while ago when it was on offer (I think all EcoTools brushes were on buy one get one half price, so I bought this one and my mum bought their kabuki brush). Even at full price this brush is really good value for money - it's super soft, applies powder flawlessly with a natural finish, doesn't shed, is cruelty-free, and is made from recycled and sustainable materials. Is there anything this brush doesn't do? The next step in my regime is contouring. Up until recently I had been using a cool-neutral dark brown eyeshadow from MUA crushed up and mixed with some loose face powder, but aside from the fact I've been scraping the bottom of the barrel with it for a few weeks now, I had to be careful when it came to application because if I used too much I just ended up looking dirty. So, step in Barry M's Natural Dazzle matte bronzing powder (£5.99). This is a very new addition to my makeup bag (along with the Bourjois concealer) so I've yet to form an opinion on it, but it looks good in the palette so fingers crossed it contours my face whilst giving me a bit of colour. 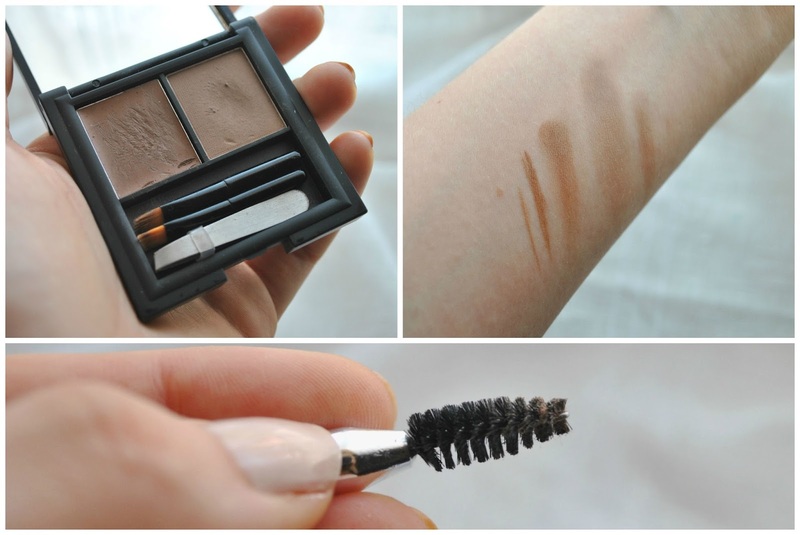 I apply my bronzer/contour powder with the e.l.f Studio Stipple Brush (£3.95). I know most people use stippling brushes for liquid foundation, but this brush does a really good job of distributing and blending powder, and its small-ish size makes it perfect for getting in under your cheek bones and creating some definition. 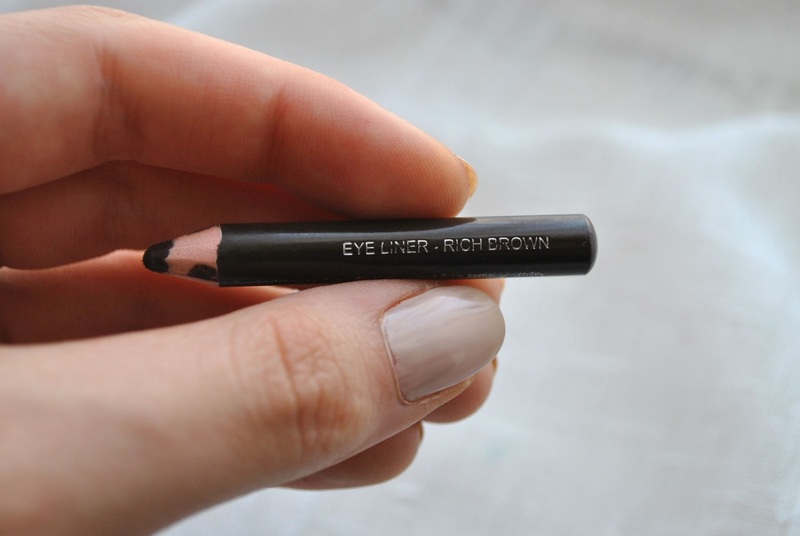 I keep my eye makeup really simple - first I line my upper lashline with MUA's Intense Colour Eyeliner (£1.00) in 'Rich Brown' before drawing a fairly thin line along the top of the lashline, which I then smudge slightly with my ring finger. I tend to focus the liner on the outer third of my eyes as this elongates them and helps open them up, making your eyes look bigger and more awake whilst still looking natural. I usually then take the powder from the Sleek brow kit and use the flat brush from the kit to pat the product over the liner to set and soften it. To finish everything off, I apply a fairly light coat of e.l.f's Mineral Infused Mascara (£3.95), focusing on lengthening my outer lashes. I very rarely apply mascara to my bottom lashes because I like to keep my makeup quite natural, but if I'm going out in the evening I'll pop some on to add a bit of oomph and make my eyes stand out. 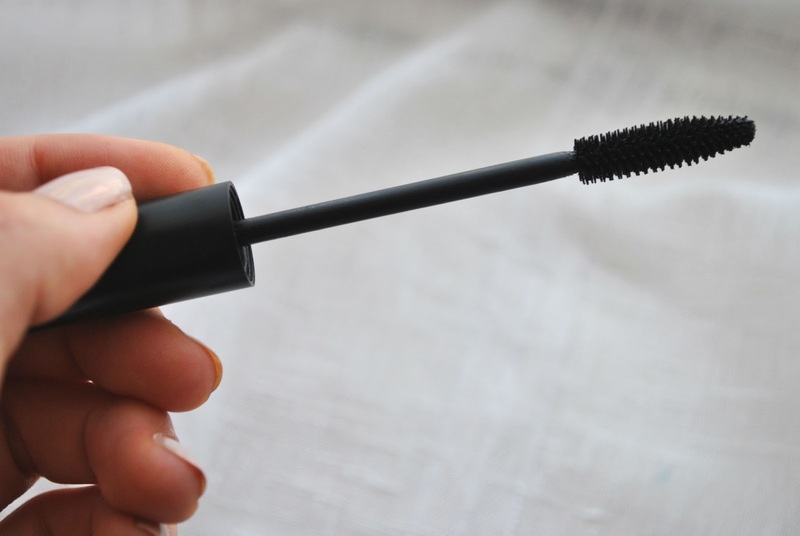 This mascara has a lovely consistency - not too watery but not too dry - and it's very buildable so it works for both day and night. I hope you enjoyed this post and if you have any products that your daily routine wouldn't be the same without, feel free to comment and let me know! How did you get on with the Bourjous concealer? I'm in need of a new concealer and the one you mentioned looks lovely. I really liked it, and still use it to this day! The coverage is medium, although it can be built up slightly, and it's perfect if you want a natural finish without any orange tones. It's also quite light reflecting, so I like to use a slightly heavier concealer on my under eyes, then finish it off with a little of this to really brighten the area. It also doesn't clog pores or encourage/cause blemishes, which is always a bonus. If you decide to try it, let me know how you get on!